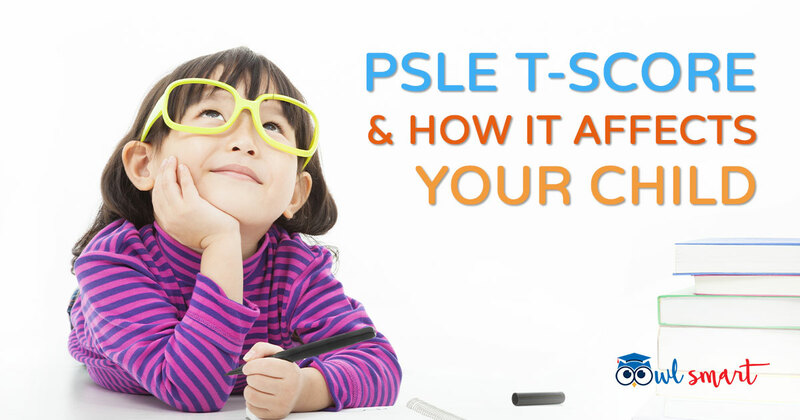 Have you ever wondered how PSLE T-score is calculated? Many parents and even students I have come across asked me if it is calculated by adding the marks for all 4 subjects and then recalculate the total scored mark to be out of 300 instead of 400? First of all, we need to know that T-score stands for transformed score. It is a calculated score (based on the formula below) relative to how others are performing. It is not the absolute raw score of a pupil. Once the T-score for each subject is calculated, the PSLE aggregate T-score can then be calculated as shown below. This means out of the cohort size of 39672 students who took 2018 PSLE Math, 26 977 students scored within 6 marks around the average score or 26 977 students scored from 54 to 66 marks. How does Subject T-Score or PSLE Aggregate T-Score Affect Your Child? In this PSLE T-score system, every point is important. Let’s say if a student did very well for EL, Math and Science, but did poorly for CL, the T-score for CL is going to pull down the overall aggregate T-score. I remember many years ago, there was this student in a top class who scored 3 “A”s for EMS but a “E” grade for CL. In the end, this student could only qualify for Express/N(A). This means that in the current system, he was not considered a clear-cut “Express” stream student but was borderline between the two streams. It was quite shocking to me as he was considered a bright student to me. He probably scored near the lower range of “A” grade for EMS. The range for “E” grade is around 20 to 34 while the range for “A” grade is around 75 to 90. This example shows that every point in the aggregate T-score counts! If your child is weak/very weak in any particular subject, he/she still has to put in effort in that subject. He cannot just leave his most “disliked” subject aside and depend on the better subjects to pull up the aggregate point. Based on the formula to calculate T-score, you can also see that the performance of every student is being compared to one another. It is relative. It is akin to running a race and every runner is ranked from top to bottom. Every difference in adjacent points will be used to rank the students accordingly. Let’s see one example to see how a student will perform in comparison with others. You can see from this example that the higher the student’s score in comparison to the average, the higher the subject T-score will be. The result is the top “runner” will get the first priority to choose the secondary school of his choice followed by the “runner-up” and so on till the last “runner”. However, from 2021 onwards, this T-score system is going to be replaced by the Achievement Level and P6 students taking PSLE in 2021 will be graded under the new system. Different marks scored by students in the same Achievement level do not matter anymore. In other words, students are not differentiated by points as finely as before. I hope this article will give you a clearer picture of the T-score system and how PSLE aggregate T-score is used to determine a student’s priority of admission to secondary schools. Even though PSLE T-score still applies till 2020 and all parents want their child to score an aggregate as high as possible, it does not determine if your child will be successful in life eventually. There are simply too many cases of successful people who did not do well for PSLE. Just look around. What matters now is that your child has tried his best and has the right attitude in learning. Life skills are also very critical for success. I am sure there are other pathways that will allow your child to develop to his full potential and be successful in his own way in the future. Like what you're reading? Subscribe to our free PSLE guides and articles. Please tell us more about you and your child so that we can send what's important to you. You will receive your PSLE 2019 Guide in a few minutes. Mr. Ng Yeo Heng has over a decade of experience in teaching upper primary Math and Science in local schools. He has a post-graduate diploma in education from NIE and has a wealth of experience in marking PSLE Science and Math papers. When not teaching or working on OwlSmart, he enjoys watching soccer and supports Liverpool football team.